There's no better way to create impact and build support for your business' sustainability efforts than through action. Who's been using Do Nation? Run an employee pledge challenge, and drive healthier habits for your people and your planet. Do Nation takes care of the impact measurement, follow-up, and education, allowing you to run an effective behaviour change programme whether or not you're an expert in environmental behaviour change. Using a reusable shopping bag, switching to a renewable energy provider, video conferencing instead of flying - all of our actions have an impact on our planet. Your employees make their pledges; Do Nation automatically measures their impact in terms of carbon, water, and waste saved. We take into account a user's previous behaviour, and follow up after two months to find out how they got on. Sustainability isn't just about carbon. Most of the actions listed on Do Nation have wider impacts too, notably to our health and wellbeing. In fact, 68% of users report improved health or wellbeing. Cycling to work, eating less meat, reading up about sustainable innovations in your industry, and simply being part of a community of people taking positive action together. They're all things that can make people feel better - physically and mentally. And employees who feel better tend to work better too. Nothing gets people talking like action. On average, each person talks to six people about their pledge and the programme - conversations that help to drive awareness and build a culture of sustainability. By engaging staff in sustainability, they're more likely to factor it into their own work – unlocking significant innovations and commitments. For example, after pledging to use a reusable water bottle himself, a Network Rail director committed to phasing out the use of 100,000's water bottles on their sites. I pledge to recycle for the next two months. At the moment I recycle only when I can be bothered. I aim to recycle more plastic waste at home and to set up recycling schemes for other items such as crisp packets within the office. 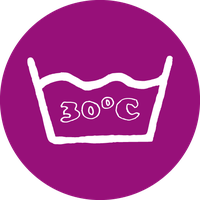 I wash at 30°C never - I didn't even know there was a setting for that!, and do about 2 loads of laundry a week. For the next two months I pledge to do all these at 30°C. A minor effort for a big cultural change. We all can make it happen. Let's go for it!!! I pledge to cut out about half the packaging over the next two months. At the moment I don't give much thought to packaging. Not much thought goes to how much packaging is on our food which gets thrown away as soon as we bring it home. This is a good menthol of drawing attention to improving sustainability in aspects we usually don’t consider as it’s considered the norm. 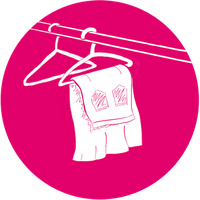 During the next two months, I’ll declutter my wardrobe and give my unwanted clothes a new life. I expect to donate or recycle 5 to 9 items of clothing. A steady stream of research shows that people increasingly want to work for a company that cares about its impact. 77% of our users say that the pledge challenge left them feeling more proud of their company and it's sustainability work. That's gold. Leadership skills are also developed by team leaders and champions, as it offers great opportunities for them to hone project planning, communications, and influencing skills. So all in all, it's an HR manager's dream. It's not the main reason you're doing this, obviously, but it's a nice side effect. 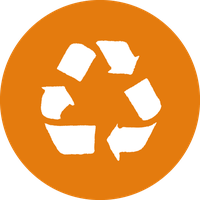 Whether by reducing travel costs, landfill taxes, or energy bills - behaviour change saves money. Simple. In fact, the Carbon Trust estimates that workplace behaviour change programmes reduce energy costs by 10% on average. Happy, healthy, and proud employees are also more productive and loyal. That's a lot harder to attach a price tag to, but our sense is that it's a big one. 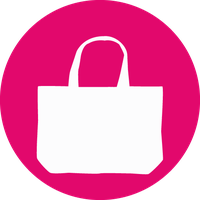 Create a simple pledge campaign, good for trials and demoing Do Nation to your team. Professional version introducing impact measurement and team competition. Introduces greater customisation, reporting, and access to dedicated support from our team. Recommended for companies with 100+ employees, and ideal if you’re looking for closer integration with your sustainability strategy. A bespoke sub-site to suit your enterprise level programme. Customised Do Action content e.g. info on your own cycle to work scheme. We recommend a minimum of 3 month subscription - that allows time for pledges to be made, carried out (2 months) and confirmed, while leaving you time to access the data at the end. Discounts available for larger programmes. We're a registered recipient of 1% for the Planet, so if you're a member your subscription can count towards your 1% for the Planet donation.